INDUSTRY.co.id - Makassar - The anniversary of PT Astra International Tbk's 60th Anniversary which is coupled with the Health Festival in Makassar, South Sulawesi, is colored with free medical treatment on board the "Doctor share". "Roadshow of Astra's 60th Anniversary in Makassar is different from other regions, because the free medical treatment is done on board," said Head of Public Relations Division of PT Astra International Tbk Yulian Warman in Makassar yesterday. He said the free medical treatment was carried out on board in Losari Beach, to give the feel of relaxed and coinciding this weekend. At this location, he added, visitors can enjoy free medical treatment on the ship "Doctor Share" or floating hospital. "Free medical treatment carried out on top of this floating hospital is very unique and is expected to help about 500 patients with various health conditions," he said. The patients served were those who suffered from minor illness, including for eye examination, blood donation, and even minor surgery. In addition, the Chairman of PT Astra International, Tbk's 60th Anniversary Organizer in Makassar, Himawan, is also expected to participate in a procession of healthy fish, healthy gymnastics and health campaign for Healthy Living Community Movement (Germas), while enjoying Festival 60 SMEs processed products Healthy Food and Yoga Festival. In Astra International's 60th anniversary commemorative series, Tbk will also hold a Book Review and Inspiration for Astra Clean Stop. 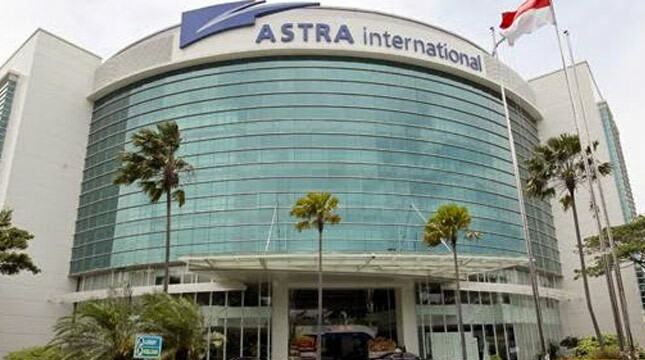 "Like the previous cities, as a form of Astra's commitment to prosper with the nation, the 60th anniversary celebration in Makassar is also filled with Astra on Becoming Pride of the Nation book review." he said. Contemporary management book review containing management practices that have accompanied Astra for 60 years is filled by the Governor of South Sulawesi H Syahrul Yasin Limpo, Director of PT Astra International Tbk Widya Wiryawan, Chief of Corporate Human Capital Development of PT Astra International Tbk Aloysius Budi Santoso and Editor in Chief Rappler Union Lubis. Other activities, Astra will also revitalize 20 bus stops in Makassar as part of the launching of Inspiration of 600 Clean Stops across Indonesia.